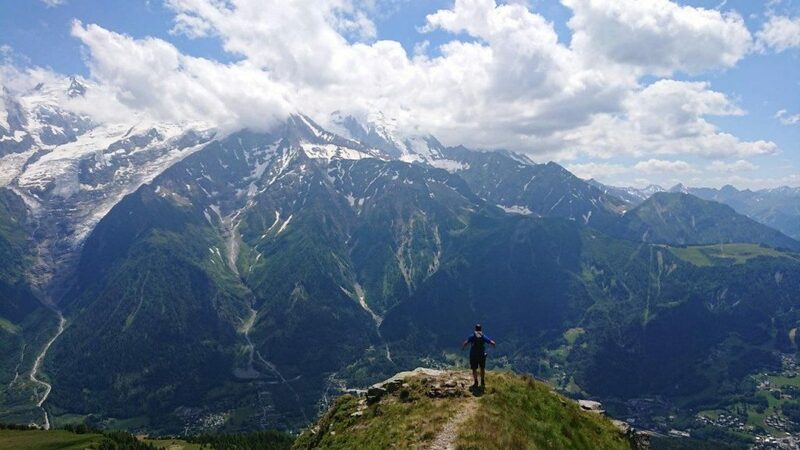 All about the Mont Blanc Highlights. 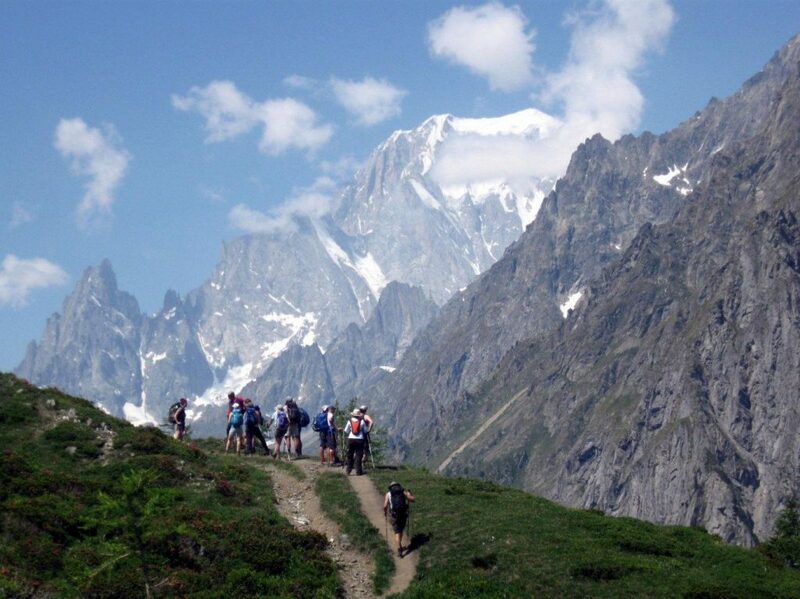 The circuit of Mont Blanc is one of the finest walking routes in the Alps. It is in reality a series of paths linking the seven valleys that surround the highest mountain in Western Europe, Mont Blanc. It normally takes a fortnight to complete the whole circuit, but for those with less time this one-week Exodus tour takes in the most outstanding sections with beautiful mountain highlights each day. 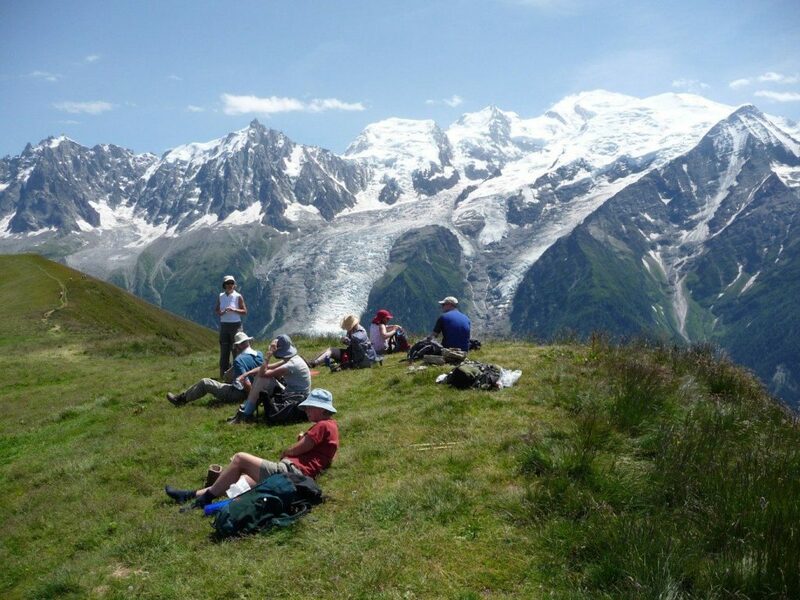 Throughout the holiday we are based in the delightful chalet with dramatic views of Mont Blanc, and use a mix of private bus and local trains and buses to travel out each day to re-join the next stage of our walk covering beautiful sections of the famous circuit. 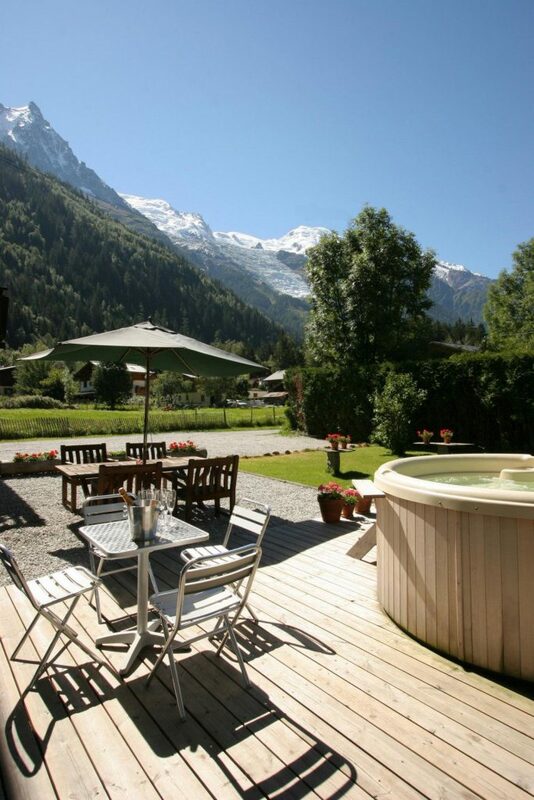 At the end of each day we return home for afternoon tea, or for those who wish, a dip in the chalet’s bubbling Jacuzzi. Due to the popularity of this tour, on some weeks we may use more than one chalet. If we do, the groups will be completely separate (although they will share the airport bus transfer). Please note we may adjust your itinerary order to ensure the groups are following different walks each day. 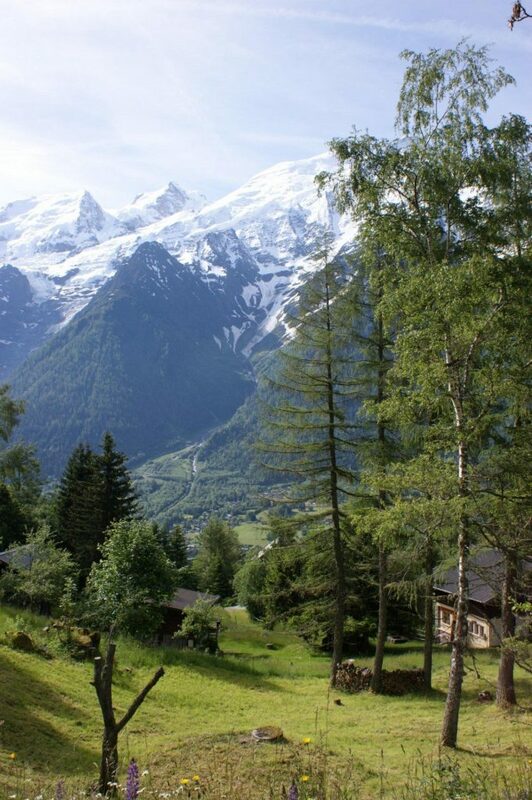 Your holiday begins at your comfortable alpine chalet. 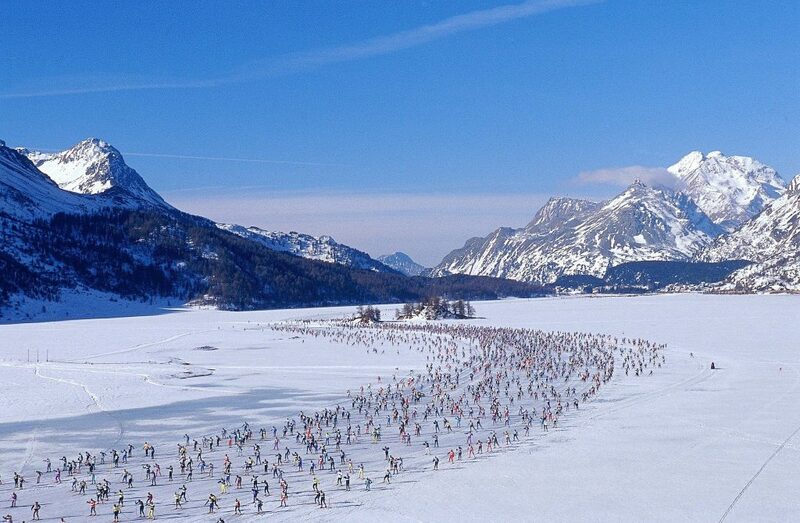 Those making their own way to the chalet should aim to arrive early afternoon for introductions. 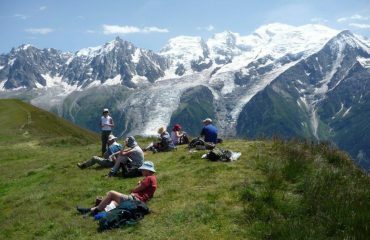 There is plenty of time to walk into Chamonix in the afternoon before a pre-dinner briefing from the walking leader. 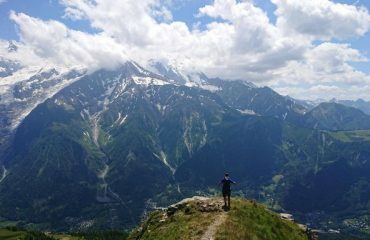 Day 2 Day 2 Drive to the head of the Chamonix Valley; walking towards Switzerland via the trekking peak L'Aiguillette des Posettes and onto Col du Possettes and then descend back towards La Tour. Day 3 Day 3 Transfer above Les Houches; ascend to the Bel Lachat Refuge, before crossing the Carlaveyron Natural Reserve and summiting the Aiguillette des Houches and the Aiguillette du Brevent. Day 4 Day 4 Les Contamines Valley, the Col de Voza and Les Houches. Day 5 Day 5 Free day for optional walks, activities or sightseeing. Today is a free day for optional walks or sightseeing. 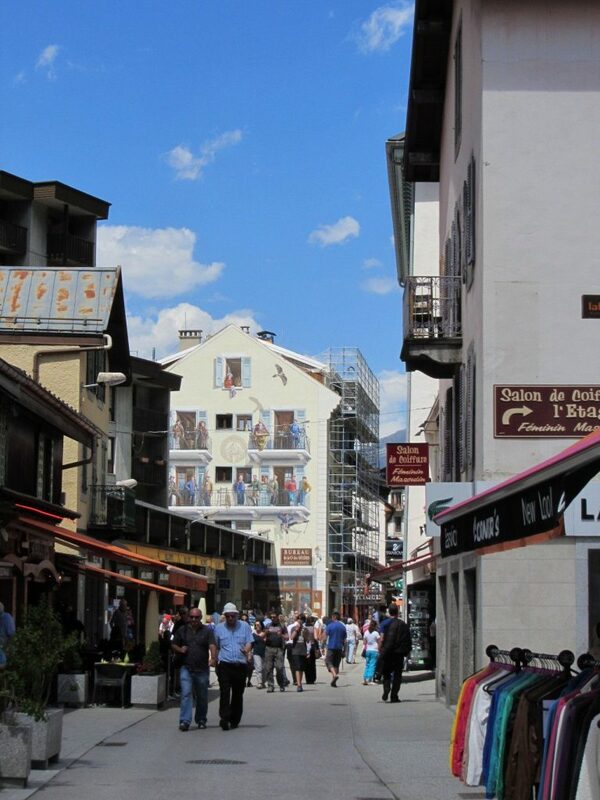 Your leader will be able to advise you of possible walking routes or you may choose to visit the bustling alpine resort town of Chamonix, which has numerous shops, bars, restaurants and cafs. 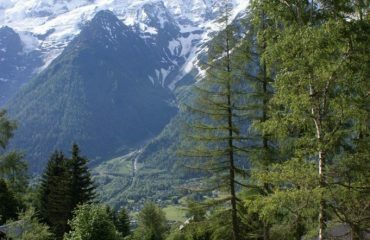 There are several cable car excursions you can make from Chamonix, of which the most spectacular is the ascent to the Aiguille du Midi (3842m – 12600ft), offering fantastic views of Mont Blanc and surrounding peaks. It should also be possible to take the mountain train up to Montenvers for close up views of the glacier, Mer de Glace or if you are feeling adventurous you could enjoy a tandem Paragliding flight. 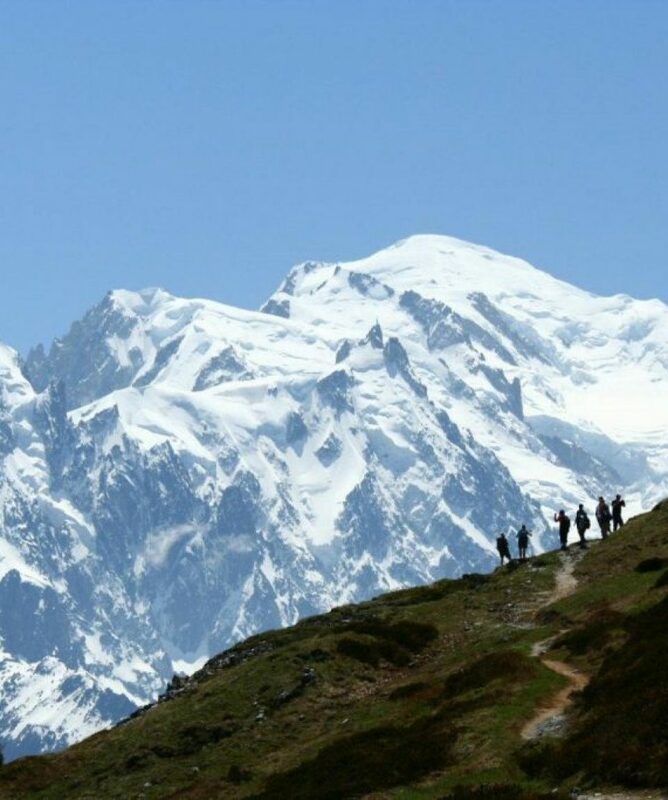 Day 6 Day 6 Mont Blanc tunnel to Italy; climb to Bonatti refuge and traverse high above the spectacular Ferret Valley to Courmayeur. Day 7 Day 7 Starting from Les Praz; walk via Lac Blanc to La Flegere then descend by cable car. Following breakfast we say our goodbyes. 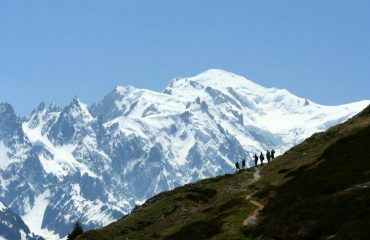 Spring and Autumn departures: Late spring and early autumn is a great time to visit Chamonix and walk in the mountains. The air is clear, the views are stunning and paths are quiet and tranquil. 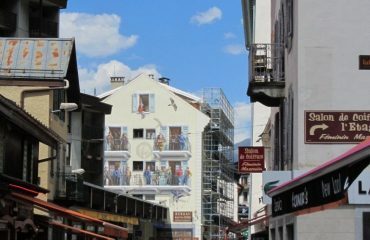 Chamonix itself is still open for business but the bustle of the high season is replaced by a more laid back vibe. Although the itinerary will be similar and we will continue to walk spectacular sections of the TMB, we will need to alter some of the days. 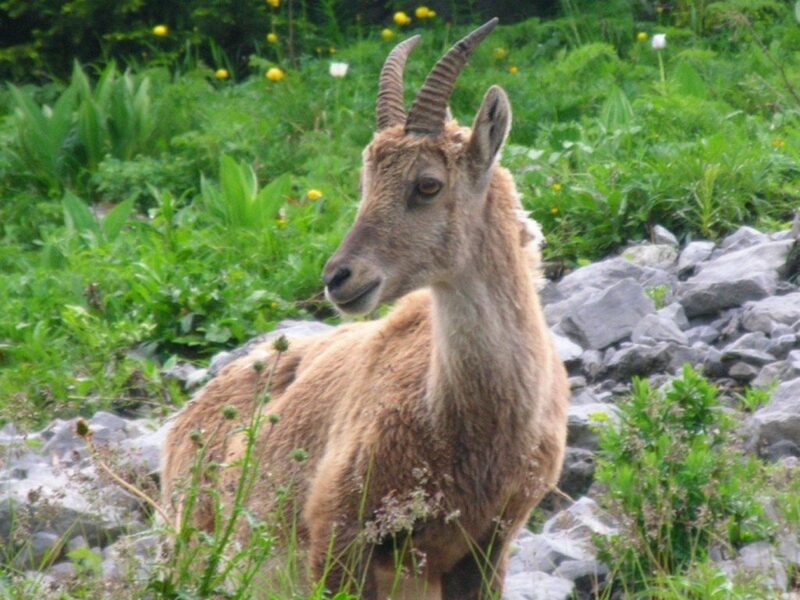 This will be due to the cable car not running, (pre the 15th of June and post 17th September) or (especially in spring time) to snow on the paths or due to river crossings not being possible. 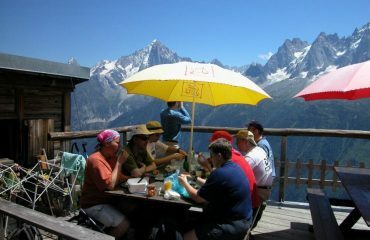 Cafes on the mountain may well be closed for some departures too. 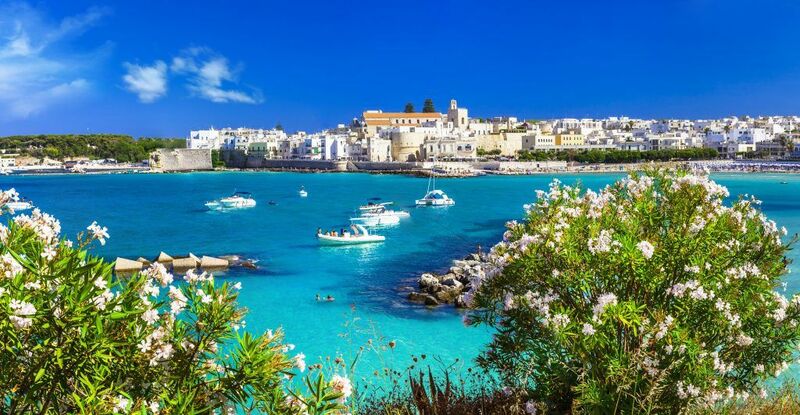 We try to make sure that any alterations stay within the grading and overall theme of the trip but some days may be a little longer and a little harder. We will always make sure that all walks still show off the best this area has to offer. 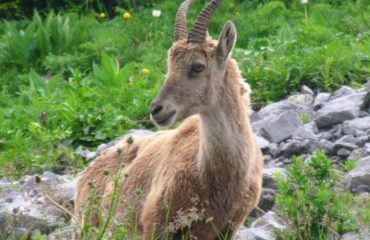 The lift schedule can occasionally change which means they may actually be running for the spring/autumn on the last/first departures. If this is the case the may be lift costs that are payable locally. Please note: on booking your confirmation documents will name Chalet Chamonix however you may be allocated to Chalet Chocolat. This will be confirmed on your Final Joining Instructions sent 4 weeks before your departure date. 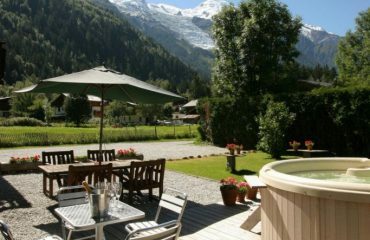 These delightful alpine chalets both have 7 rooms with private bathrooms and are surrounded by large gardens with a Jacuzzi and Mont Blanc views. Both have comfortable lounges and dining rooms with a large table where delicious home cooked meals will be served and scrumptious cakes will be provided daily for afternoon tea. 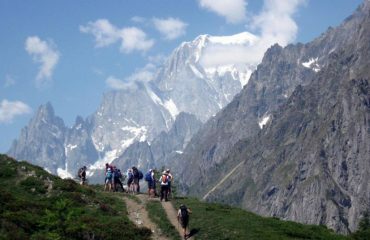 Located between 15-25 minutes from the heart of Chamonix they provide the perfect base for walking the best of the Tour du Mont Blanc and a relaxing week in the Alps. Due to the natural layout of a chalet build, bedrooms vary in size and shape and some, but not all, have access to a balcony. In Chalet Chocolat one bedroom on the top floor has a Velux window as opposed to a wall mounted window and a large private bathroom on the floor below. This room will be allocated to the last 2 people to book. In Chalet Chamonix, two bedrooms on the top floor have Velux windows set into a gradually sloping roof. Half the room has a full height ceiling while the beds are positioned under the sloping section these two rooms will be allocated to the last 4 people to book. Both chalets offer complementary Wi-Fi in the communal areas. If you are booking and not on the same booking reference as a friend/s that you wish to share a chalet with please let your sales consultant know at the time of booking. Equally if you have a preference for one chalet over the other, please let us know at the time of booking and we will do our best to fulfil your request. 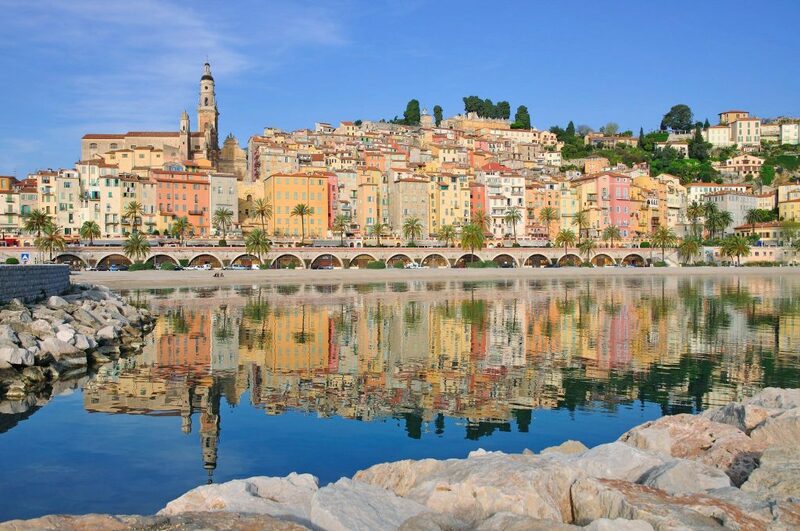 Otherwise we will select a chalet for you automatically. 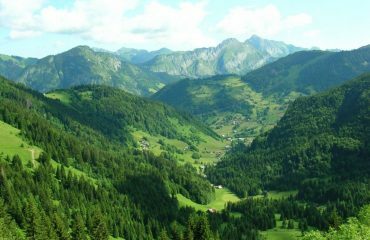 The walking itinerary will be the same for both chalets however the order of the walks may differ slightly. 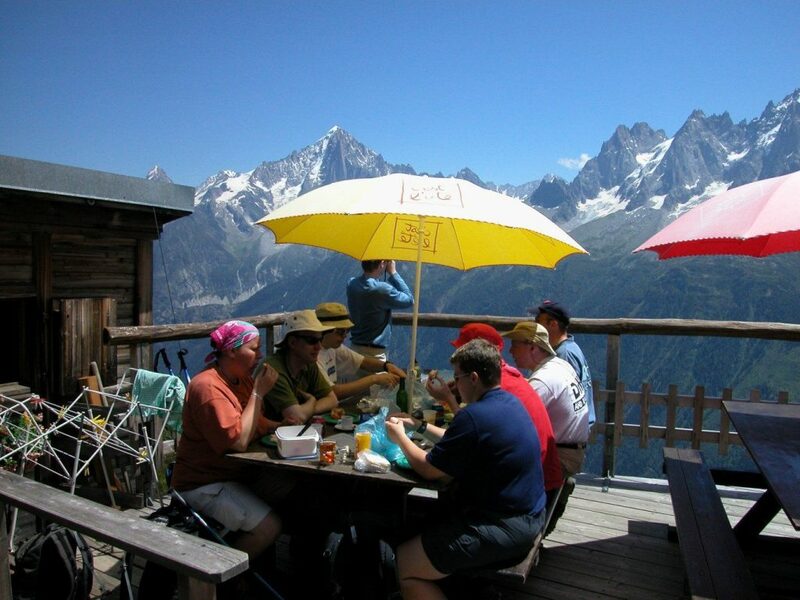 A Chalet is different from a hotel and provides open and social spaces ideal for group holidays. 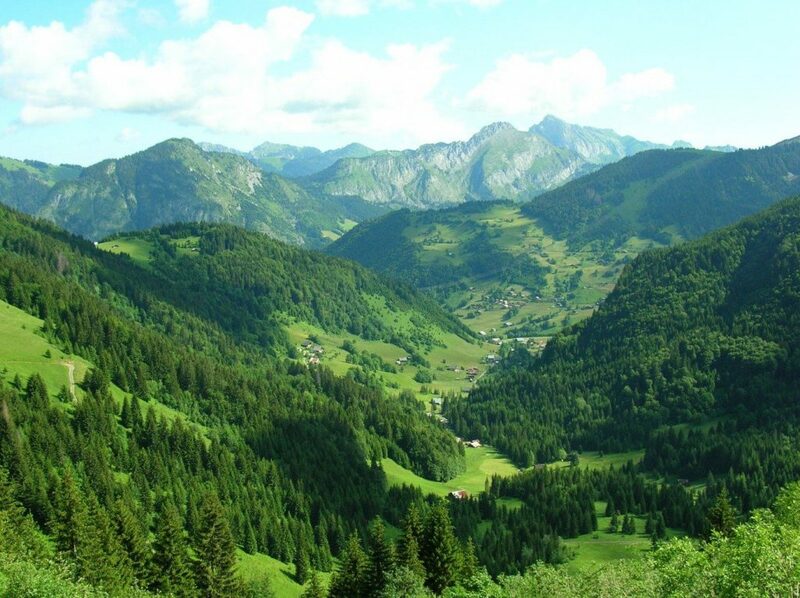 The atmosphere is homely and welcoming and we hope you will enjoy the chalet as much as the stunning local walks. Outside of the bedrooms both Chalets have living rooms with sofas and comfortable chairs. A client kitchen which is not for preparing food but has unlimited tea and coffee making facilities and a honesty bar. Outside there is a large and scenic decking area with more seating, a grassy garden we encourage you to go out and enjoy as well as an outdoor hot tub. In the dinning room meals are taken together around a communal table and are prepared by your two resident chalet hosts. There is no reception in the chalet. Chalet hosts live on site and can be contacted in an emergency.